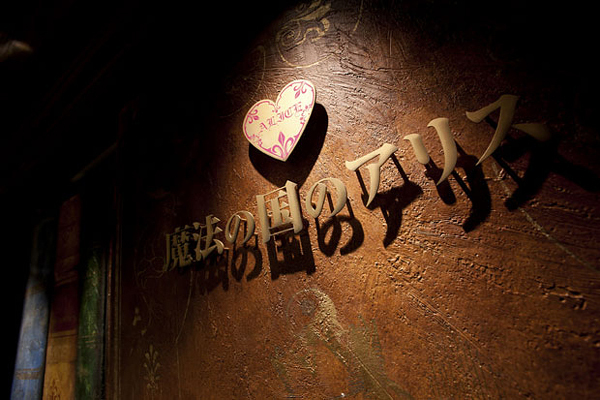 Japanese design studio Fantastic Design Works created fairytale interior of Alice in Wonderland restaurant inspired by the Lewis Carroll classic. 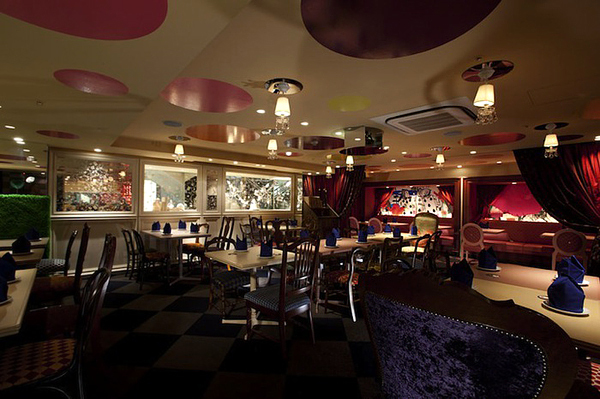 Restaurant features several different “rooms” and each of them is an imaginative combination of psychedelic decorations, dramatic designs and waitresses dressed in Alice costumes. 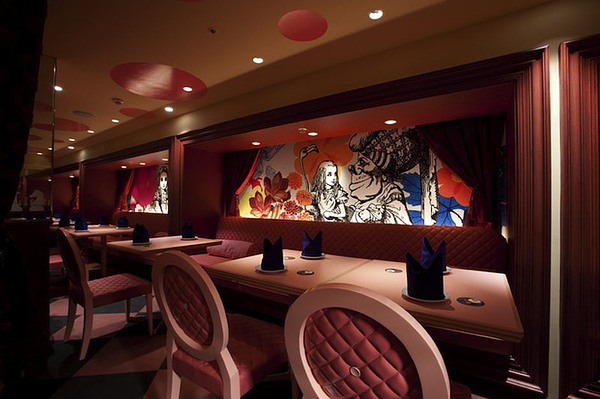 “We wanted to give guests excitement and surprise, like an unreal world with various wonderlands,” explains designer Eiichi Maruyama. 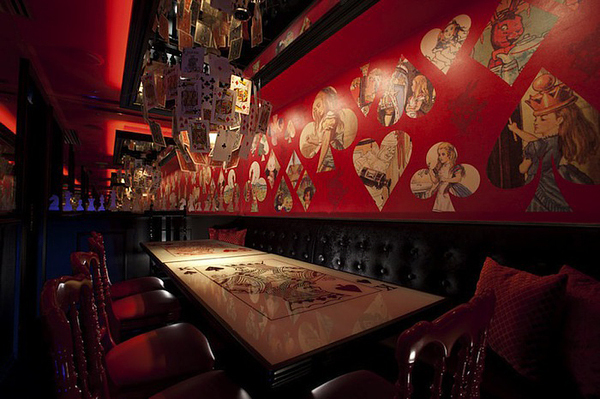 Located in Tokyo’s Ginza shopping district it is the fourth Alice in Wonderland-themed restaurant owned by its restaurant group. 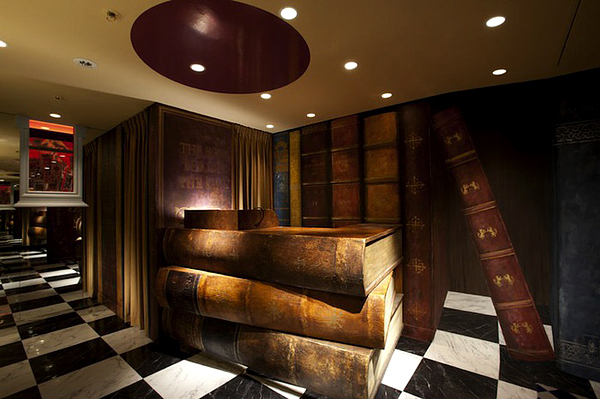 Am quite impressed with your interior design creativity. That is greats! 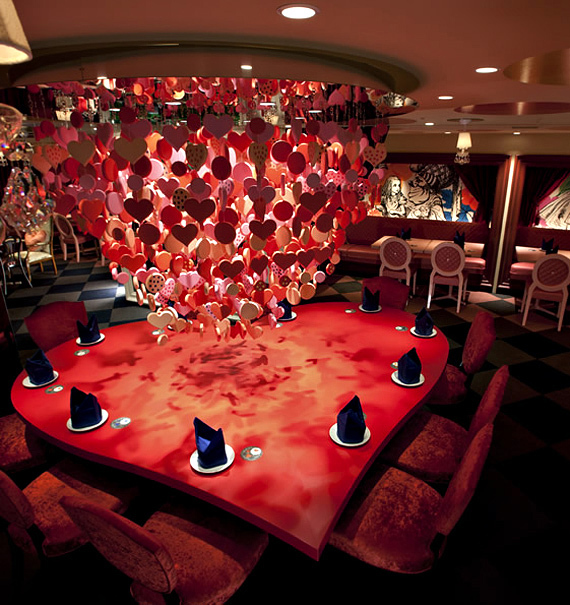 Wonderful and creative interior designs.Hope this will be idle place for having nice dinner, lighting and texturing looks amazing. 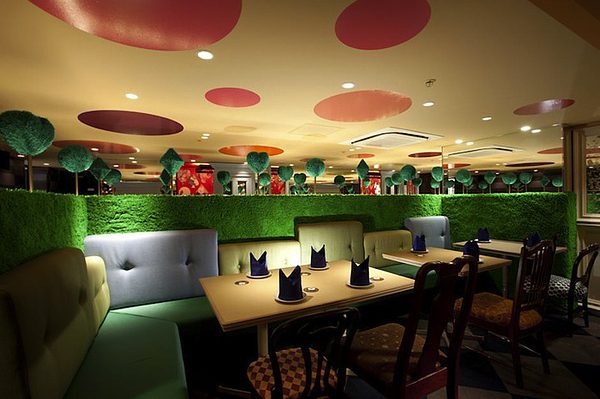 I was impressed by green interior design which in order 4,5 and 6.Thanks for sharing. 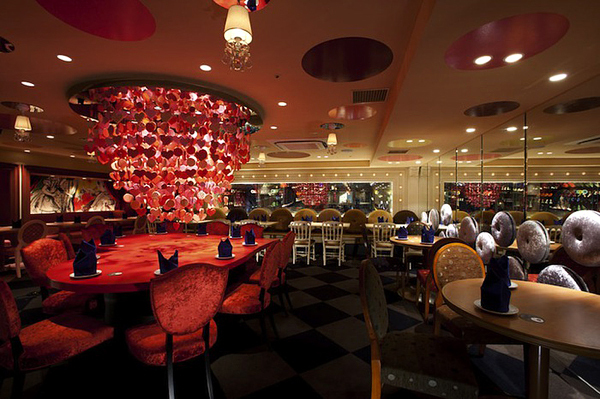 This restaurant design is very thematic and creative. 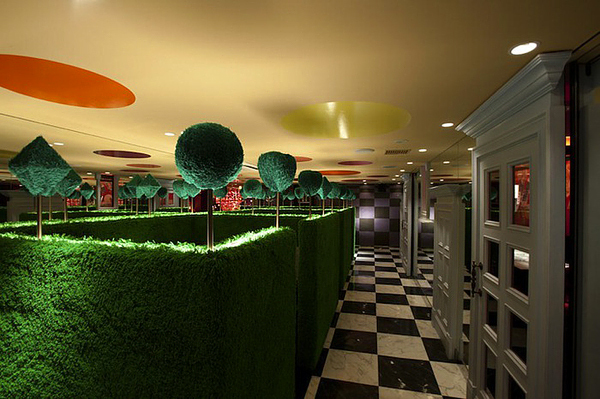 The grass-like booths create a vivid and yet private atmosphere for diners to enjoy. 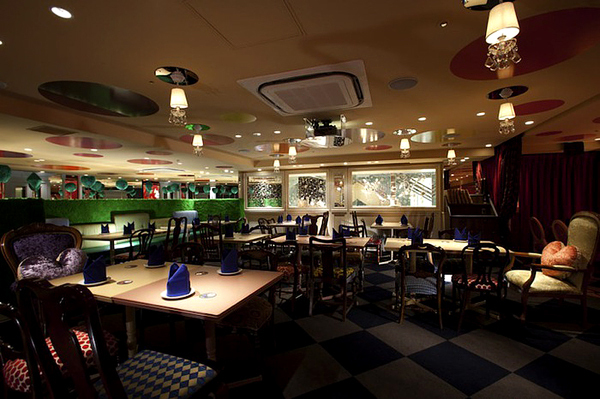 The All of the colors and textures work together nicely and form a imaginative environment. Thanks for the post.